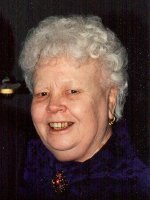 ALBANY – Bernice A. Murack Rudzinski, 90, of Albany, passed away peacefully at her home on Sunday, December 2, 2012, and is now with the angels she so adored. Mrs. Rudzinski was born in Torrington, CT, the youngest of ten children of Frank and Angiela Piaszizyk Murack. She was raised in Torrington and graduated from Torrington High School. After marrying, she lived for a time in California and New Mexico before coming to Albany. She was an accomplished artist, painting in a variety of mediums, and participated in local art shows. She was a member of the Fort Crailo and Albany Art Associations. She also was a singer, and was a member of the Festival of Praise Choir since its inception. She was a member of the Polish Community Center Ladies Auxiliary for many years, and she loved playing bingo, and visiting a variety of casinos both in the northeast and in Las Vegas and Utah. 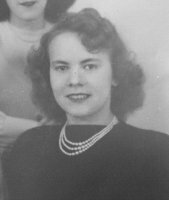 Mrs. Rudzinski was predeceased by her husband Stephen S. Rudzinski in March of this year. She is survived by her children Stephen S. Rudzinski, Jr. of Santa Cruz, CA, Timothy F. Rudzinski (Cathy) of Westerlo, Paul T. Rudzinski (Barbara) of Colonie, Teresa Allison (Donald) of Rensselaer, and Karen M. Casey (James) of Slingerlands; and by six grandchildren and three great grandchildren. She was predeceased by all nine of her brothers and sisters. The family would like to extend their gratitude to the Eddy Visiting Nurses (Michelle & Carol), as well as Community Hospice (Nina & Co.). We could not have gotten through this without you. Also, thanks to Drs. Garbo and Doyle at NYOH for their kindness and compassion. Funeral services will be held in the Hans Funeral Home, 1088 Western Ave., Albany, Wednesday morning at 8:15, and from there to All Saints Catholic Church, Homestead Street, Albany at 9:00. Relatives and friends are invited, and may call at the funeral home Tuesday from 4-7:30 p.m. Entombment will be in Evergreen Memorial Park, Colonie. In lieu of flowers, the family suggests contributions to the Eddy Visiting Nurse Association, 433 River St, Troy, NY 12180; or Community Hospice of Albany, 445 New Karner Rd., Albany, NY 12205. To leave a message of condolence for the family, send a sympathy card, or obtain directions to the funeral home, please visit www.HansFuneralHome.com. Tim, I am so sorry to hear of your mothers passing. I had just talked to you on Sunday at the train show and we had spoken about your mother. Priscilla and I both wish you and your family our best wishes and most heartfelt condolences. Friends of my brother Tim, Please ask him to attend his mothers funeral for his mothers sake not so much for ours. We have tried for years to get his attention, and also to come and pick up a shoe box full of photo’s from the past. Can anyone offer to deliver to him in case he does not show? I guess it is a good sign that Gene Schmidt said (above) that Tim actually talked about his mother receintly. Karen, So sorry to hear about your Mom. My thoughts and prayers are with you at this time. You know how much I liked her, she was quite a lady. My best to you and your family. she shared that with me when I brought her Holy Communion over the years. I consider her a friend and I will miss her wondeful attitiude. We all have our own special memories of a very talented person whose great gift of love made us feel special.